Famous music director DSP is a leading music director in both Telugu and Tamil Industries. Almost all big films has DSP as music director in telugu industry , but in Tamil Industry its in the opposite case. He has a poor market in tamil industry and and very huge market in Telugu Industry. A recent Buzz is that two heroines fought for DSP. 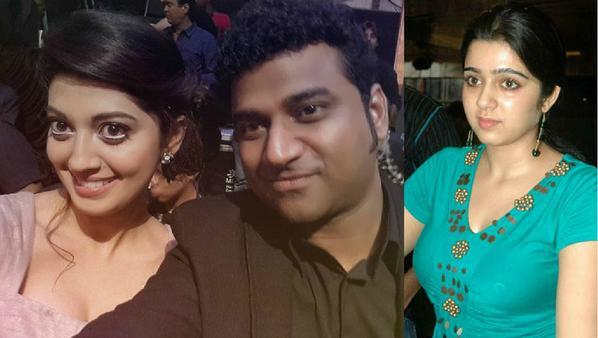 It is said that Telugu famous actress Charmy Kaur is found dating with DSP and both were said be in love. They were caught redhanded in many places as a couple. In this case another leading actress Pranitha is said to be interested over DSP and tried dating with him. On hearing such news Charmy got angry and began sending harsh sms to Pranitha and it is said that both fought each other for DSP.